Kits are finished, listed, and ready for purchase. This Aromatherapy kit is designed to be safe to use with children, although it can be used for any age. It contains four 5 ML amber glass dropper bottles. One bottle each of THERAPEUTIC GRADE: Lavender, Peppermint, Relax Blend, and Clean Blend come diluted for safety with Almond oil and Vitamin E, and are ready for use. The oils come with a booklet, outlining someways to use them, and a handmade paper case for keeping the oils organized. Clean Blend is safe to use for cleaning baby toys and furniture, just add a few drops to a cup of warm water, put in a spray bottle, and use. It is antiseptic and antibacterial. It is also a very soothing oil, and an be used in a bath for a cranky child, or added to unscented lotion or oil for massage. when added to a warm bath. Relax Blend helps to soothe the nervous system. I like to put a few drops on a piece of cotton and put in my baby's pajama drawer. It makes them smell so sweet, and helps to relax her at bedtime. I also put a few drops on tissues and put in a pillowcase a few hours before bed, it encourages restful sleep. It is also nice in a bath, or used for a relaxing massage. are toxic when applied to the body or inhaled. Keep Essential oils out of reach for children and pets. Always stay present with children when using aromatherapy. 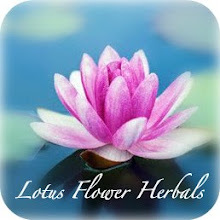 I am a Holistic Health Practitioner, and Holistic Aromatherapist. I am a mother to 4 children aged 6 months to 13 yrs old. I have used Aromatherapy on them since they were babies. I used Aromatherapy during my births with them as well. I have gotten such great results, and found Aromatherapy so successful and helpful, that I turn to my oils for help before any other remedy. I especially love using them on my children, boosting their immune systems, instead of overloading their tiny bodies with chemicals and drugs. I have had so many requests from friends and family for my return to making these kits, so here they are!! Enjoy, and I wish you every blessing for you and your family's wellness!